Seconds to Leave Your Home? What Do You Take? A “go-bag” can protect your family, until you can head home again. A “go-bag” protects your family with credit cards, cash, flashlights, flares, batteries, warm clothes, prescriptions and other necessities, is just one part of being prepared. That’s your “financial go bag.” It won’t feed you or keep you warm, but it will save you countless hours and headaches, when life returns to normal. Gather all your important documents. That means your driver’s license, passport, birth certificate, social security card and Medicare card. If you own your home, you should include deeds to property and titles to cars, as well as insurance policy summaries for home, auto, medical, long term care, life, or umbrella policies. Include statements for checking, savings, investments, debt accounts with account numbers and federal and state tax returns from the last three years. Add estate planning documents. If you have a pet, include their license information, chip ID and vaccine records. If there is an 800 number for a service that can track your pet, make sure to include that. Create a physical list of important phone numbers and addresses for family members, professionals including your estate planning attorney, CPA, financial advisor, dentist, doctors and emergency contacts. Print it out and put it in your go bag. If you don’t have any power, your list on the phone will not be accessible. Create a video inventory of your home, including the contents of dressers, drawers, cupboards, collections. Don’t forget the garage and outdoor landscaping. Scan all this information and store it on two thumb drives (also known as memory sticks). Protect the information by using an encryption method to secure it in case it gets lost. 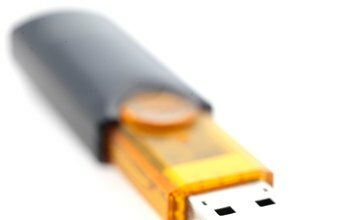 Put one of these thumb drives into your safe deposit box and another in your go bag. Even a fireproof safe won’t survive a massive wildfire, so don’t put it in a safe in or under your house. Put the go bag somewhere near an exit point, where it blends in and is secure. Tell your family and closest friends that you have a financial go bag and where it can be found.